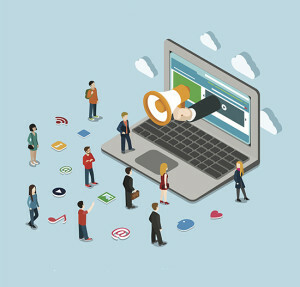 Microsite Marketing: Is It Right For Your Brand? A microsite or mini-site is a stand-alone website that rose in popularity as a marketing tool in the mid-1990s with the growth of Google’s then-revolutionary pay-per-click business model. Microsites are still a great way to create a brand-oriented experience for consumers, and serve as a landing page for search results. TopRankBlog reports optimized microsite landing pages improved site conversion rates by up to 200 percent. Microsites give your brand a chance to shine without the extraneous information and features that your primary site may contain, and here is a look at how you can leverage microsites into your marketing strategy. Microsites can give customers and consumers a landing page for a specific product or service, campaign or project. Not only can they highlight one aspect of your business, they can increase awareness of your brand as a whole to consumers who might not be familiar with you. By keeping your microsite simple and easy to navigate, it can direct consumers to what you want them to see. To achieve this, think about exactly what it is you want to highlight and stick to it. Don’t get off topic; consumers will become interested in your other offerings if you can grab their interest in the one thing you’re highlighting. A key component to microsite design comes in the earliest stages, when creating a hierarchy for your site. Your site should be “shallow” in terms of design. There should be only two or three main tabs, and features within each tab should be limited as well. WebsiteBuilder provides many templates for sites that can be used to create a successful microsite. By limiting the depth of your site, visitors can focus on the content that you are sharing with them and not unrelated material. When designing a microsite, it is important you do not make it feel like a simple advertisement for your brand. It must offer engaging content that keeps visitors on the site and coming back. Take for instance the Giferator created by EA Sports. It’s a marketing tool for “Madden NFL 15.” The Giferator allows visitors to combine animations from the actual “Madden NFL 15” game with backgrounds and their own text to create trash-talking animated GIF images to share with friends and fellow players. The images can then be shared, and each has a hashtag watermark embedded in the corner that tells the person receiving the image where he can go to create his own GIF. In this way, the content is brilliant. Each person who visits the site is likely to share it with at least one other person, solely by interacting with the content. It is both fun and function, and each GIF serves as a small advertisement for the brand. Microsites offer a unique opportunity for you to align new keywords and ideas with your brand without it taking over your entire brand’s identity. Very specific keywords and hashtags can be applied to your site so that people searching for the microsite find exactly what they are looking for without delay. If a campaign is unsuccessful, the search terms don’t lead back to your main corporate site, which gives you a chance to take marketing risks that you might not feel comfortable associating with your primary brand identity. This article was syndicated from Business 2 Community: Microsite Marketing: Is It Right For Your Brand?